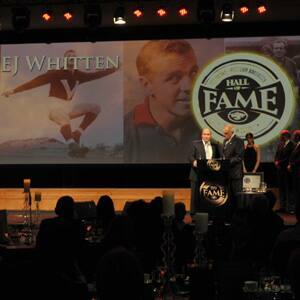 Established in 2010, the Footscray-Western Bulldogs Hall of Fame honours those whose involvement and contribution to our club has been significant, memorable and worthy of celebration. 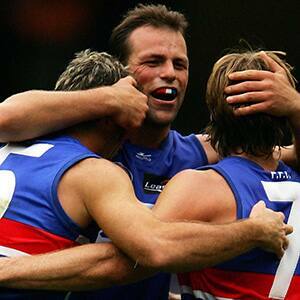 The Western Bulldogs’ club of today has been shaped over many years by the influence and actions of many people, over many years from the highly successful VFA era through the VFL years to the AFL, behind the scenes as well as on the playing field. The part they have each played in shaping our club has touched and affected the rest of us in ways they could never have foreseen. To be inducted into the Hall of Fame, a player must have been retired for two years. 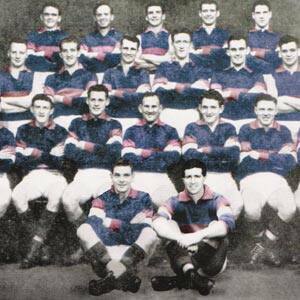 Individual playing records, including club and representative games, club and individual honours and premierships are considered, but a candidate must also have given outstanding and devoted service to the club. Personal qualities, such as leadership, skill, courage and sportsmanship are considered, as well as integrity, loyalty and character; the aim being to determine inductees who by their deeds embody the true ‘Bulldog spirit’ and whose overall contribution is worthy of acknowledgement. Each Hall of Fame induction dinner has presented inductees representing eras in which they played, but this is not a consideration during the selection process. Legends: Selected for their exceptional achievements, extraordinary service, exemplary character and the manner in which their profound contribution was made. To maintain the elite status of the Legends, their total number will never exceed 15% of the number of inductees. Officials: Off-field personnel who have made a great and lasting impression by their significant impact, their legacy or their length of service.